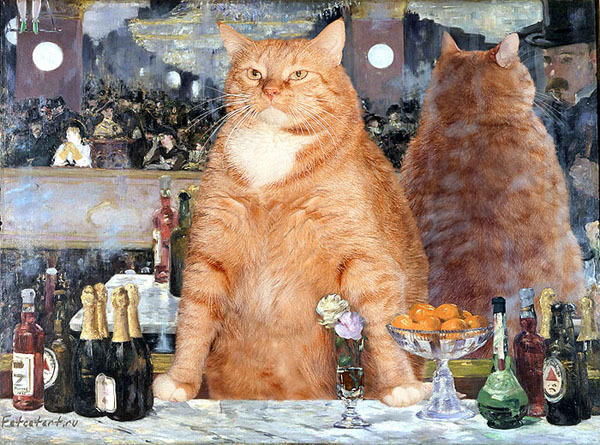 A much cuter fat cat, however, is causing pandemonium of another kind. 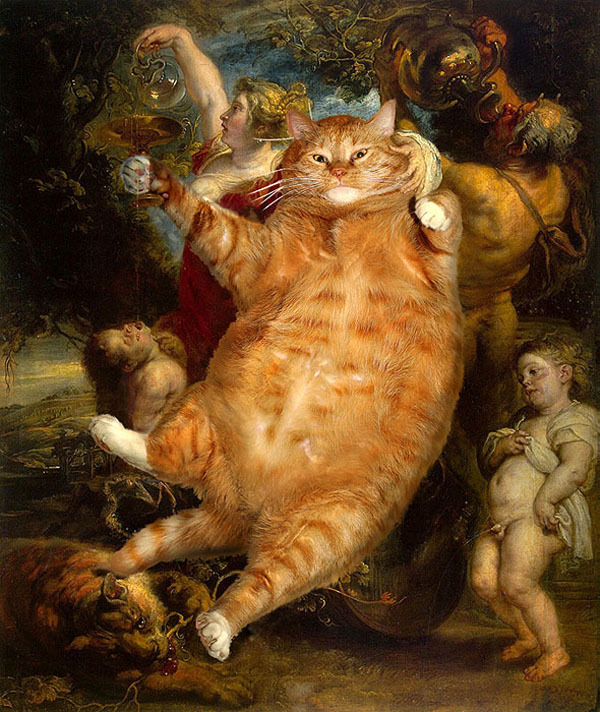 His name is Zarathustra and he features prominently — or rather, he steals the show! 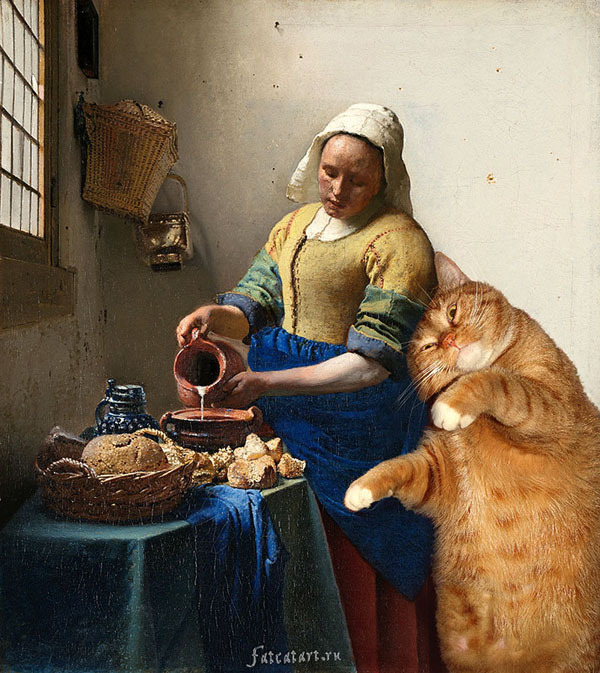 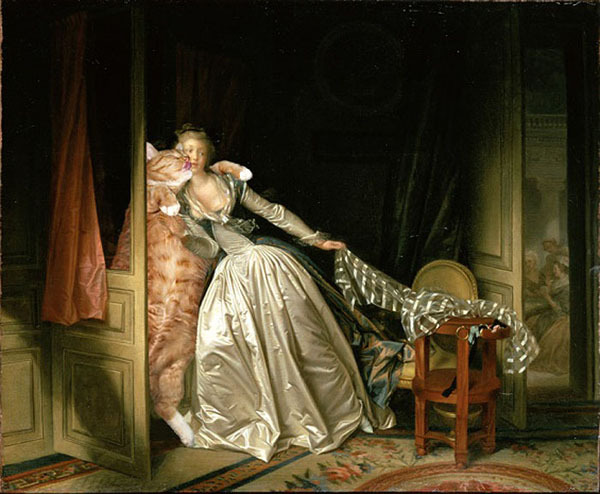 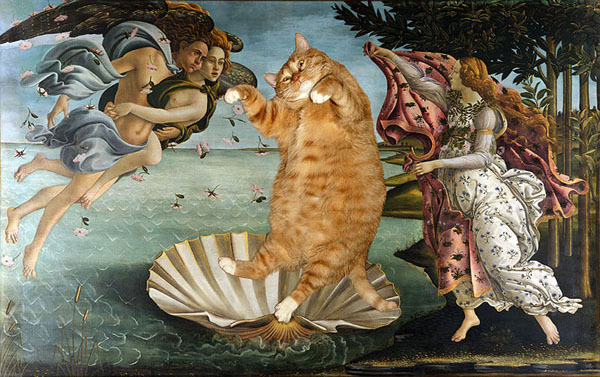 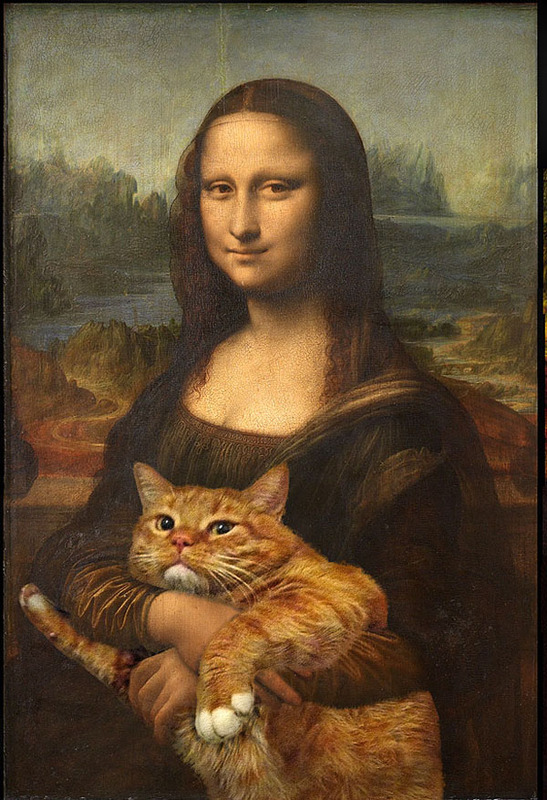 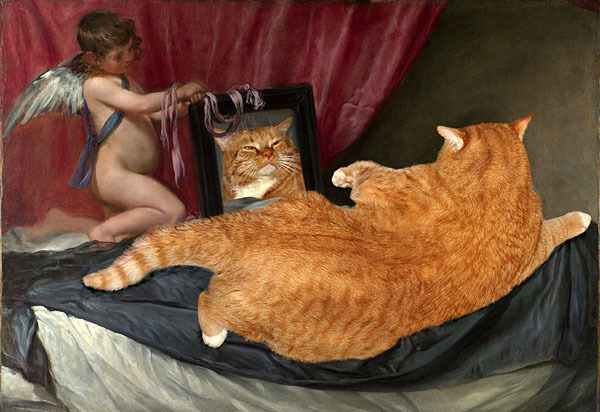 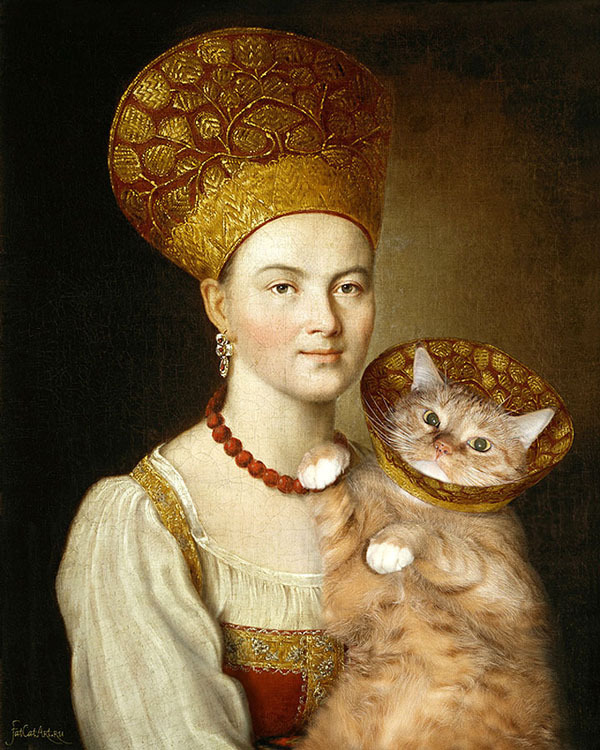 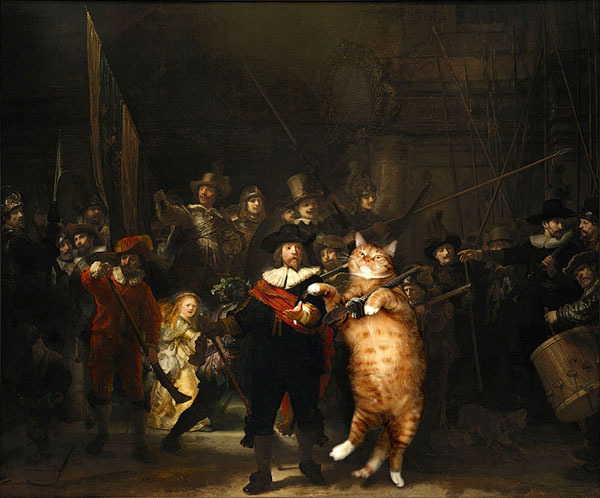 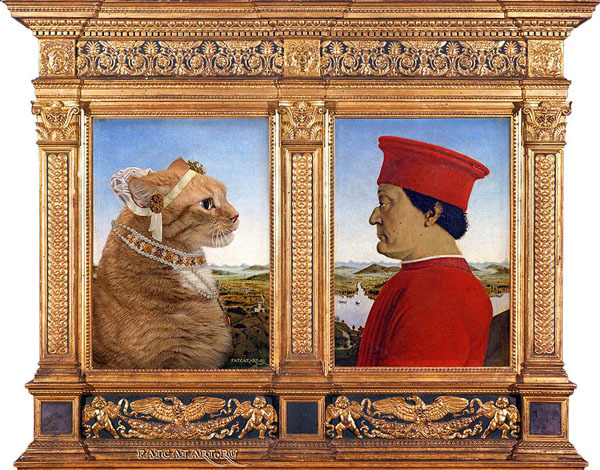 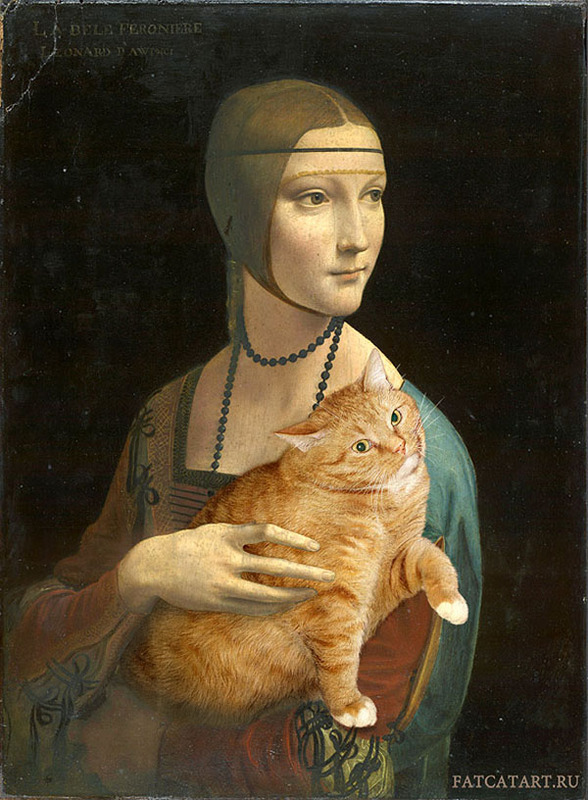 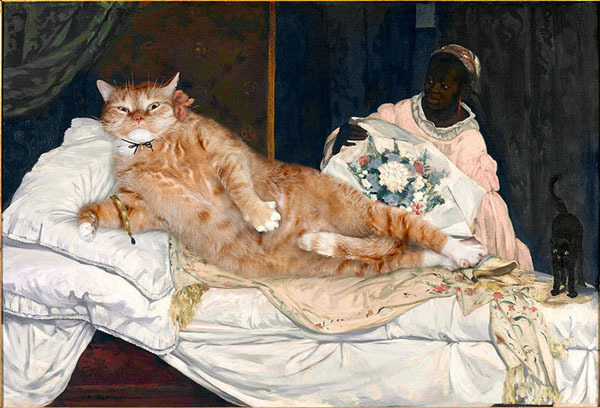 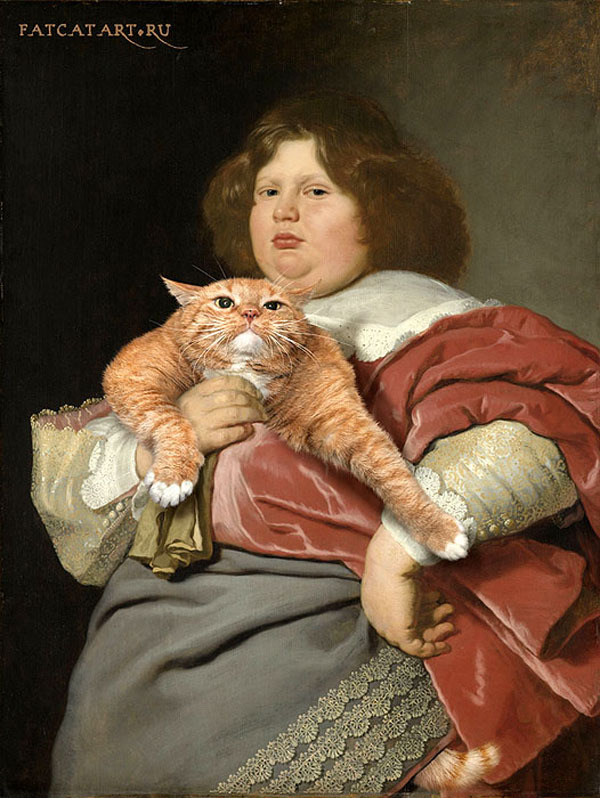 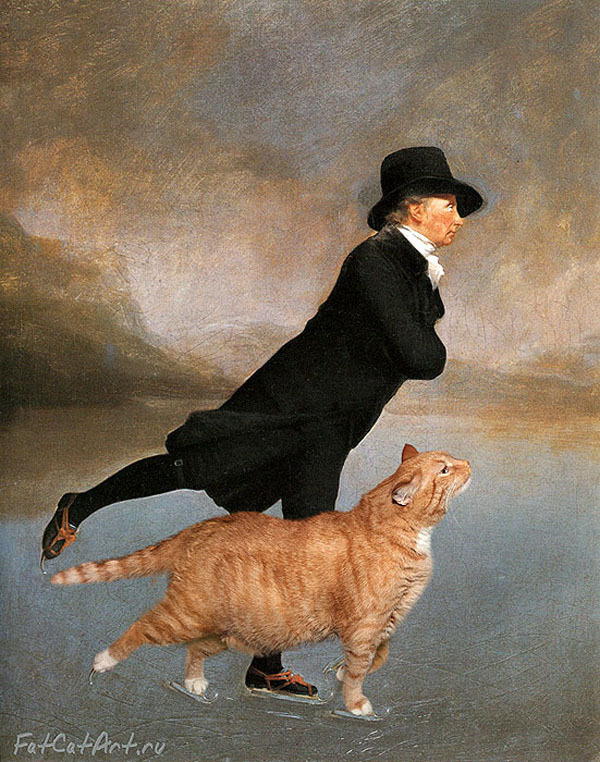 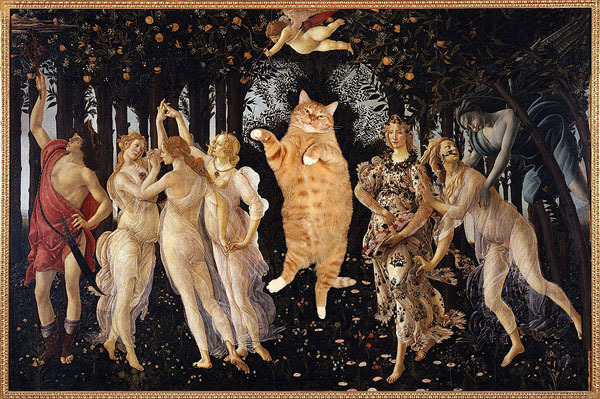 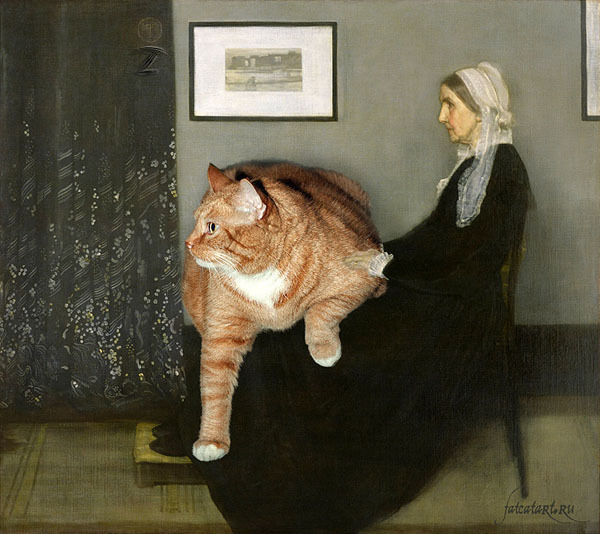 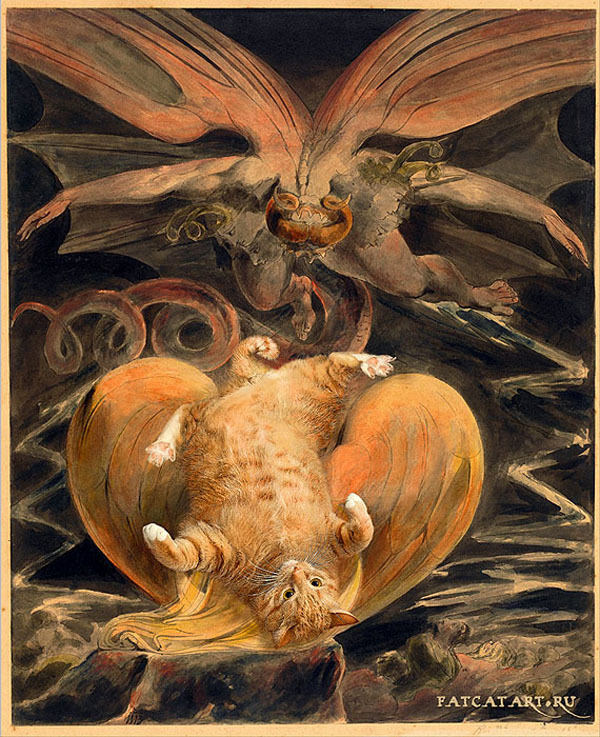 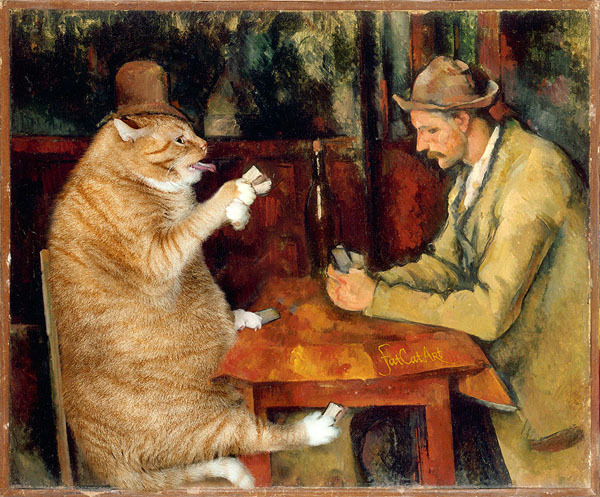 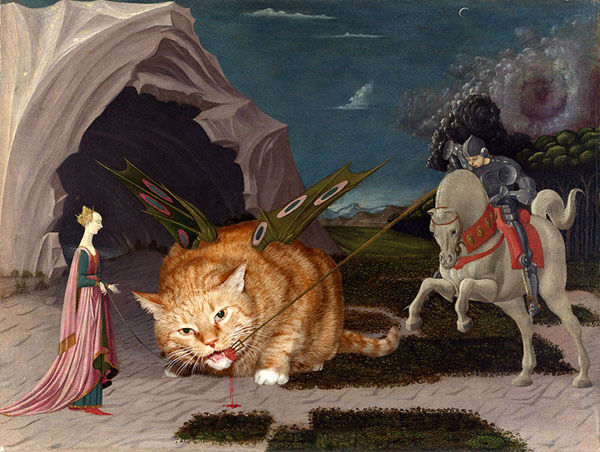 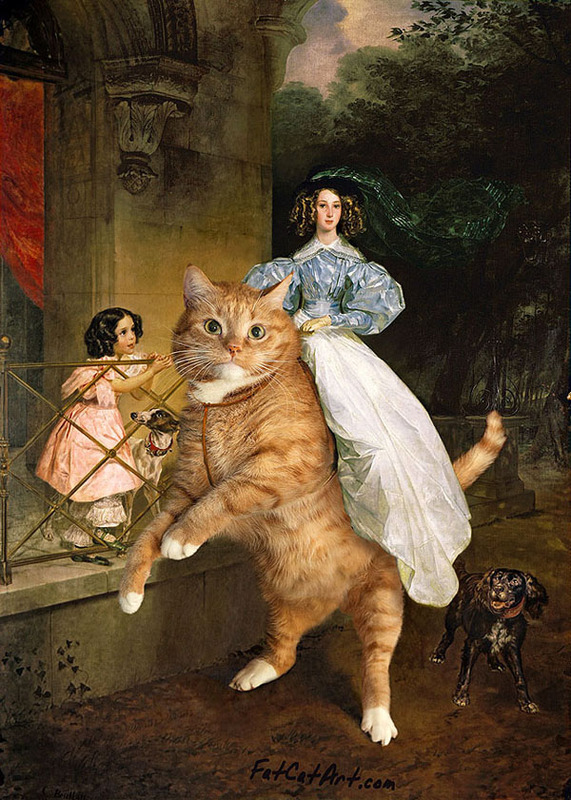 — in the 'fat cat' art of Russian artist Svetlana Petrova, who lovingly integrates the orange furball into old masterworks through extensive digital manipulation. 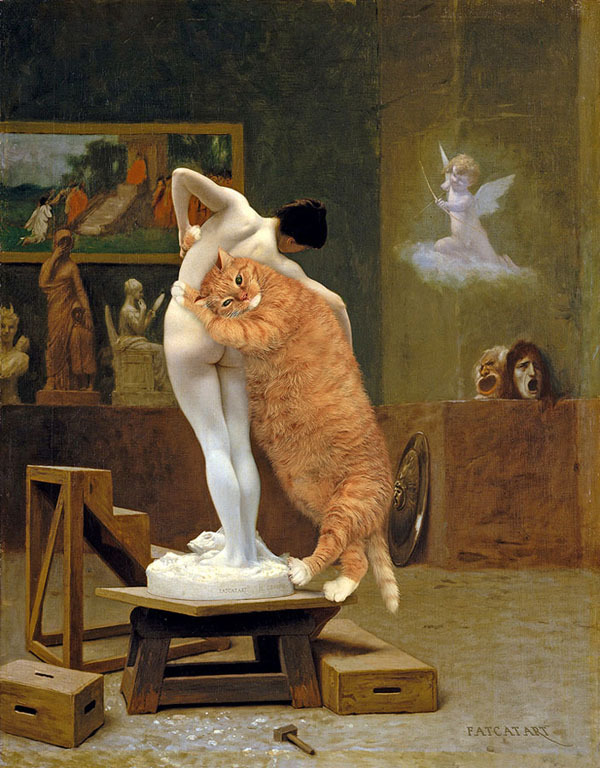 Just look at the results. 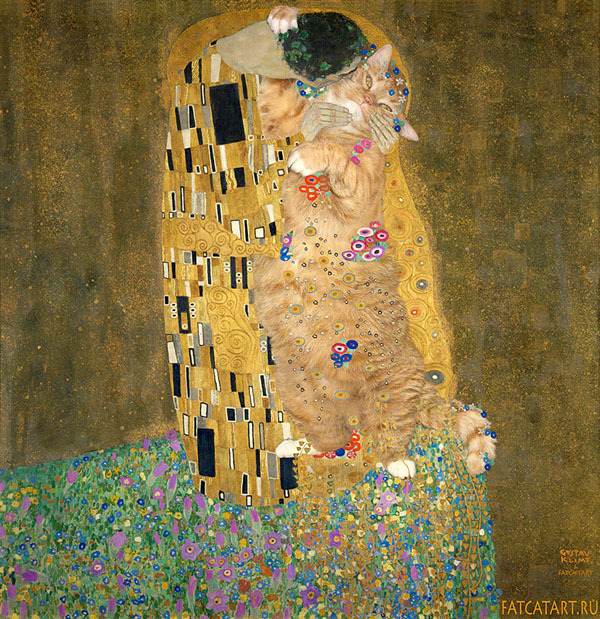 Zarathustra gets a big wet one in Klimt's The Kiss; leads the people in Delacroix's 1830 depiction of the French Revolution; melts alongside clocks in Dalís The Persistence of Memory; and, oh look, Caravaggio's Bacchus has a fellow reveler. 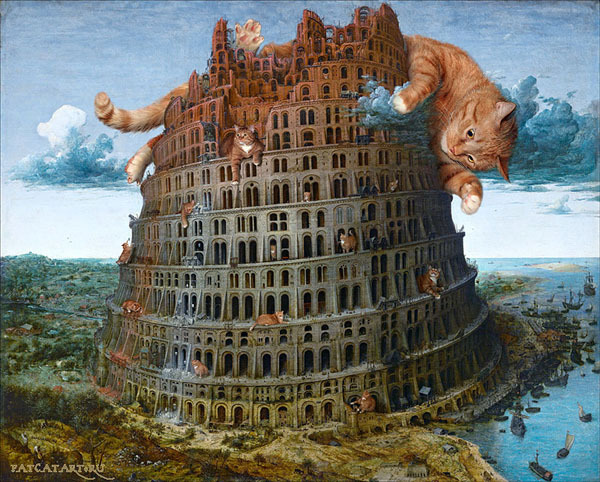 If there is a better application of the Digital Age, we can't think of it.